Alexander Knaifel Chapter Eight, "for church, cello and chorus"
A very strange day, from 10.00 in the morning until 9. 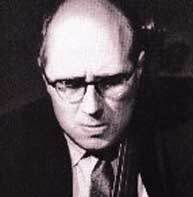 30 pm, to celebrate Rostropovich in all his diversity, one that no critic will have been able to do more than sample. 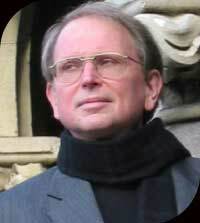 It was also a celebration of what the music department of Goldsmith's College has brought to South East London in recent years, with an emphasis on Russian music and archives of Prokofiev and Schnittke housed there, spawning many events which have been reported in Musical Pointers. We chose to come for 5 pm to see and hear the great man himself in unknown filmings; that proved to be one of the worst events ever mounted at Wigmore Hall. A small (and, as it went on, steadily diminishing) audience watched two archived films which ought never to have been shown publicly. Knaifel's Chapter Eight, for church, cello and chorus proved to be another of the pretentious post-Soviet Russian works that have been thrust upon us by the influx of Russian conductors and musicians. It is very long, very quiet, very very slow indeed throughout, and proved a huge embarrassment (see Erica Jeal's "dodgy taste" Guardian appraisal of a Kancheli, Silvestrov & Yusupov Festival Hall concert last month). Scheduled at 69 minutes and unwisely scheduled to precede the concerto. After several hiccups in the faulty DVD, it came to a halt some ten or more minutes in. After a pause, a duplicate was substituted, but because the machine had no fast-forward facility, so we were assured that had to be re-run from the very beginning... I took a half hour break at that point, but it seemed to becontinuing much the same when I returned, and I guess I'd not been missing any more energetic music meanwhile. Rostropovich had little to do, long notes, some of them gradually ascending to high harmonics; for a very few minutes it was good just to watch him playing once again, his latter years having been dominated by his role as conductor. The amateurish filming of Knaifel's 1995 Washington premiere was made with a hand held camera shakily held by the composer's daughter, and including the fashionable wandering around the Cathedral's art works. The concerto (b&w Soviet TV film of 1966) was less awful, but the sound distorted and it starts slowly. There having been one and a half hours with no fast music at all, I retreated and gave up. There had been vociferous complaints that there was no-one present from the Goldsmith's College Russian Music Archive to briefly introduce their films and to help with presenting them. The 7.30 concert filled Wigmore Hall; Joan Rodgers was clapped after each of her group of Tchaikovsky songs. Alexander Ivashkin, who had assembled a notable roster of famous musicians, dazzled with a show piece by Rostropovich himself, accompanied by 1975 Leeds prizewinner Dmitri Alexeev. Most interesting by far was the Sextet by Penderecki, a one-time enfant terrible of modern music in the '60s - he claims to have been 'saved from the avant-garde snare of formalism by a return to tradition'. A wayward and dramatic work in two movements, the 2000 Vienna premiere, with Alexeev & Rostropovich participating, can be sampled on YouTube. After the Sextet, the players were given flowers before they departed; as so did we, not feeling in the mood for the Schubert string quintet with a new contingent of players, Ivashkin to be joined by the Chilingirian Quartet.